Brenda Hillman begins her new book in a place of mourning and listening that is deeply transformative. By turns plain and transcendent, these poems meditate on trees, bacteria, wasps, buildings, roots, and stars, ending with twinned elegies and poems of praise that open into spaces that are both magical and archetypal for human imagination: forests and seashores. As always, Hillman's vision is entirely original, her forms inventive and playful. At times the language turns feral as the poet feels her way toward other consciousnesses, into planetary time. This is poetry as a discipline of love and service to the world, whose lines shepherd us through grief and into an ethics of active resistance. Hillman's prior books include Practical Water and Seasonal Works with Letters on Fire, which received the Griffin Prize for Poetry. 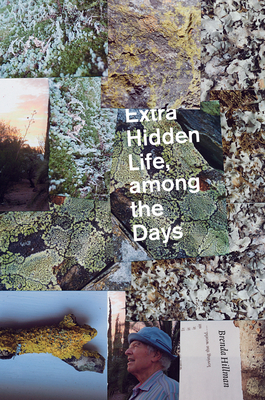 Extra Hidden Life, Among the Days is a visionary and critically important work for our time. A free reader's companion is available online at http: //brendahillman.site.wesleyan.edu. BRENDA HILLMAN is an activist, writer, editor, and teacher. She has published nine collections of poetry, all from Wesleyan University Press, including Practical Water, for which she won the Los Angeles Times Book Award for Poetry. Hillman serves on the faculty of Saint Mary's College in Moraga, California, as the Olivia Filippi professor of poetry.